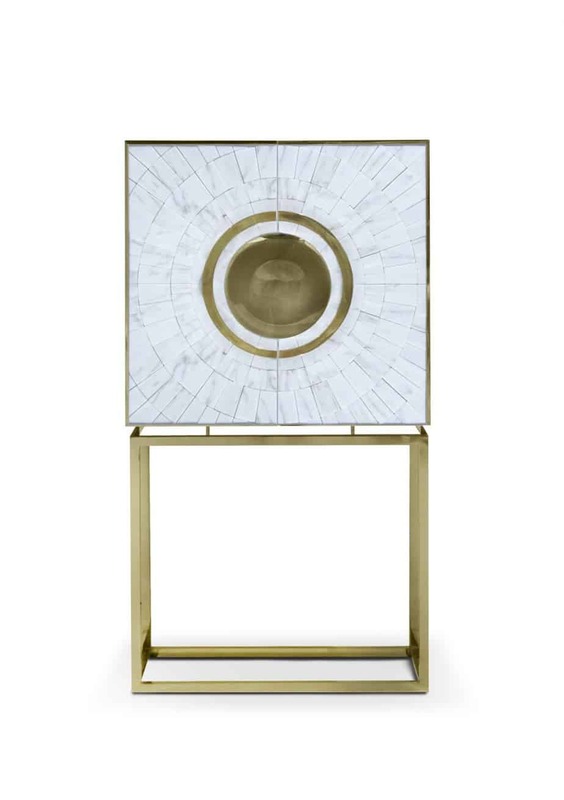 Memoir Essense Furniture is the creation of Mafalda Soares, an accomplished Interior Designer based in Portugal. 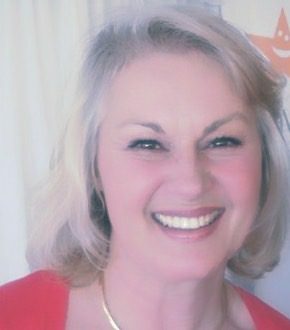 Her pieces are unique, glamorous, and elegant. Memoir Essence Furniture’s new collection for charming interiors was displayed first at Maison et Objet Paris 2016 to great acclaim. The buzz generated by just four pieces has thrust Mafalda Soares into the spotlight. Her travels and experiences are reflected in her work which features noble materials including gold leaf, marble, and different woods. 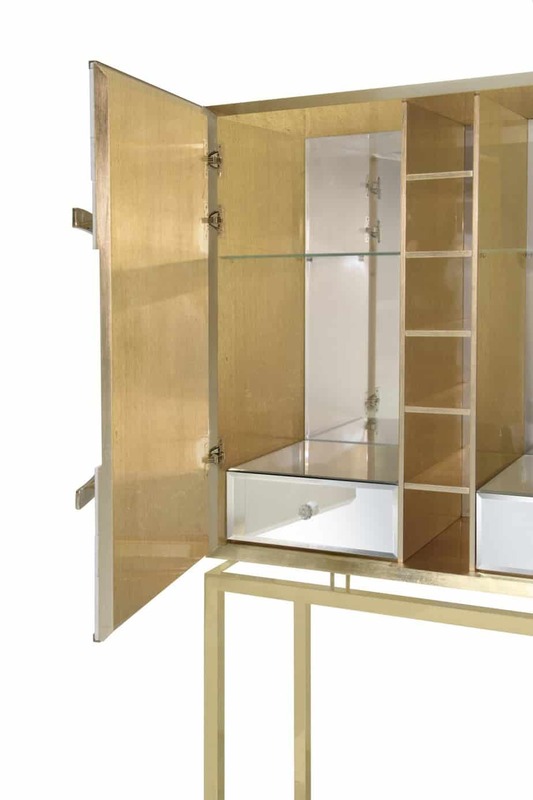 Each piece tells a story evoking dreams and desires, with furniture that will become very special to the new purchaser. 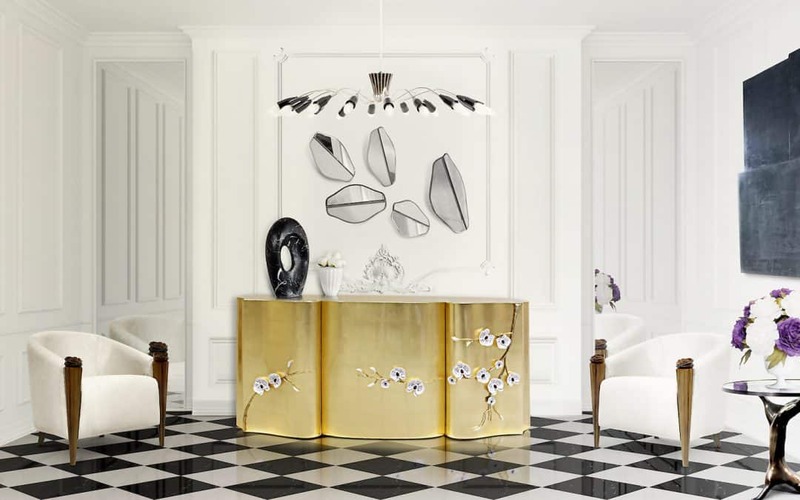 A stunning piece of furniture inspired by jewellery. 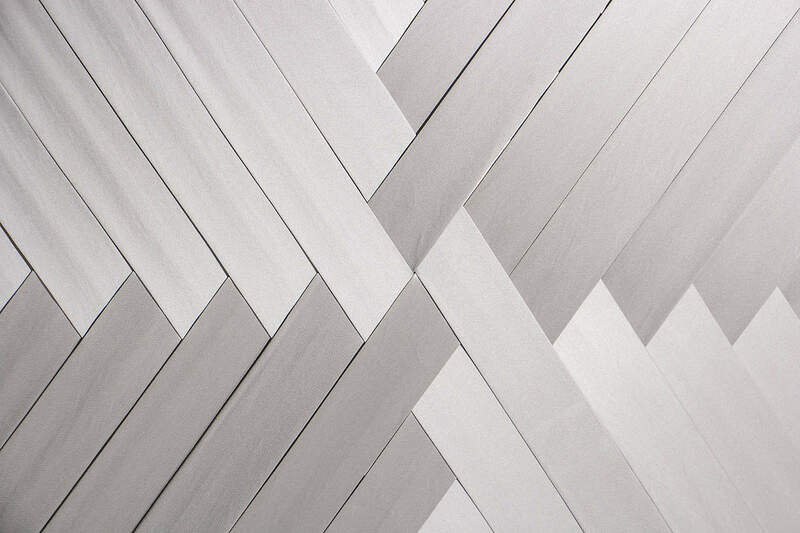 The only way to truly appreciate this dimensional piece is to watch the short video. 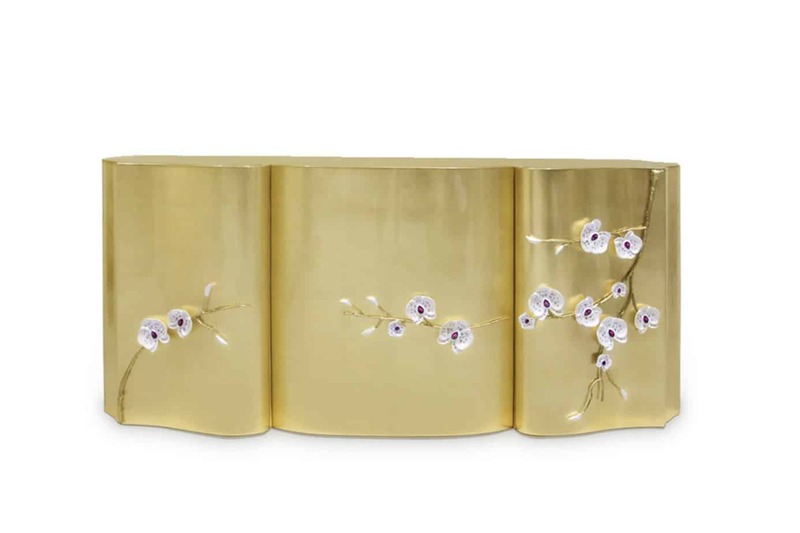 You’ll see beautiful close-up images of the petals and branches elevated from the gold polished brass inlaid with semi-precious stones. 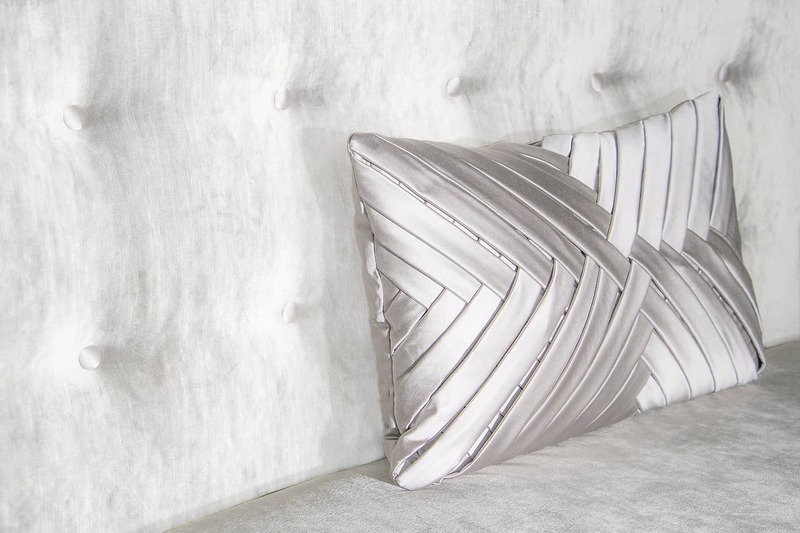 This exquisitely detailed sofa is resplendent in luxury velvet. 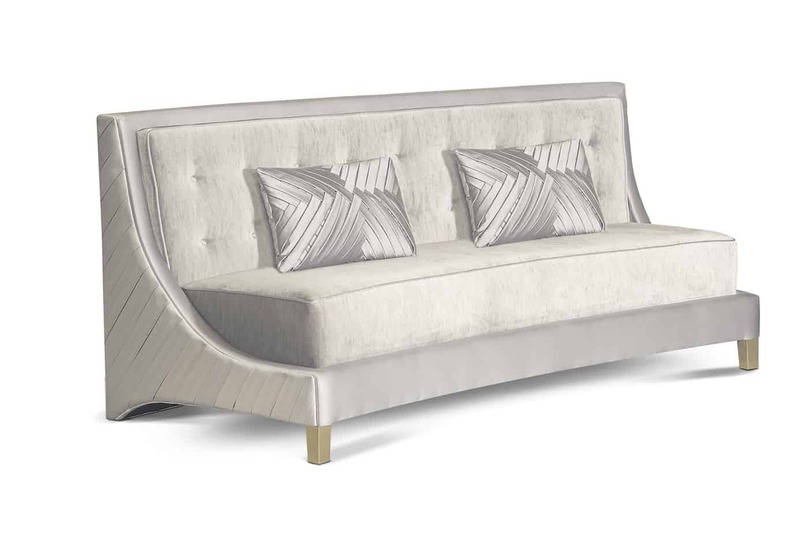 Its intricate back shows hand-intertwined satin ribbons crafted across the curved back of the sofa. 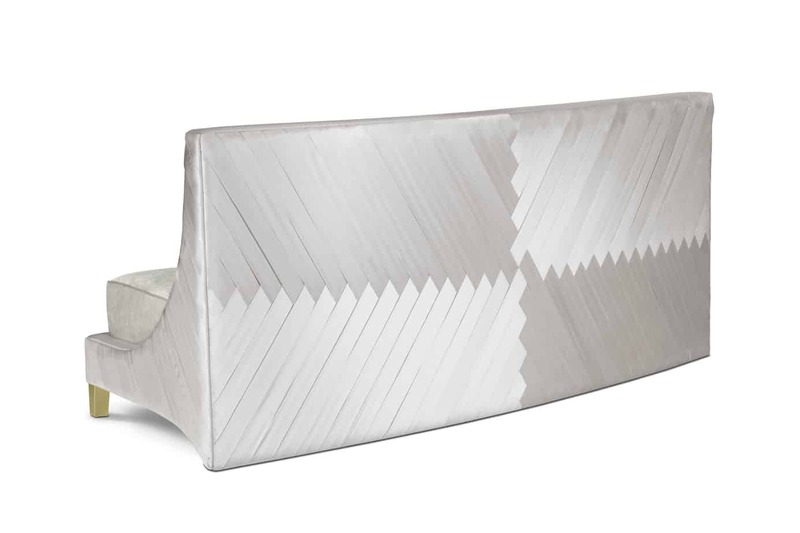 Cushions that replicate the criss-cross design are seen on the front. 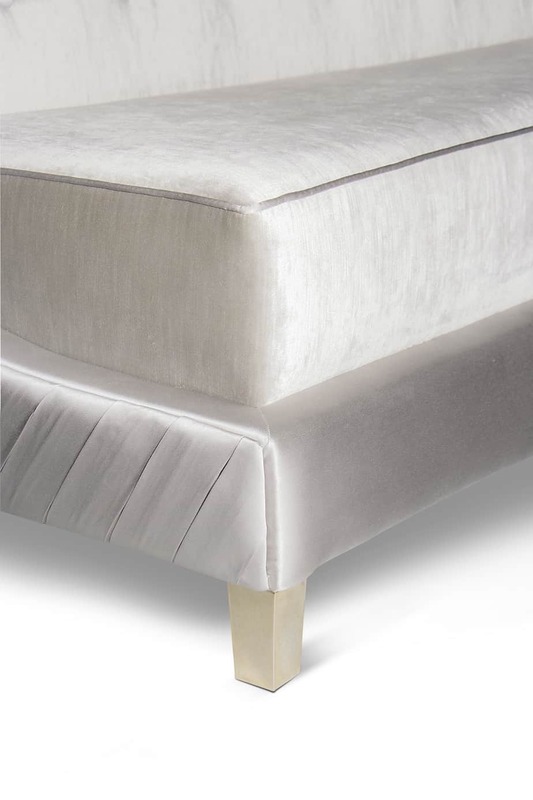 The seat and back are upholstered in grey velvet with the side and detailing in grey satin fabric. The feet are polished brass. Measurements width/length 181cm, depth 80cm, height 80cm. 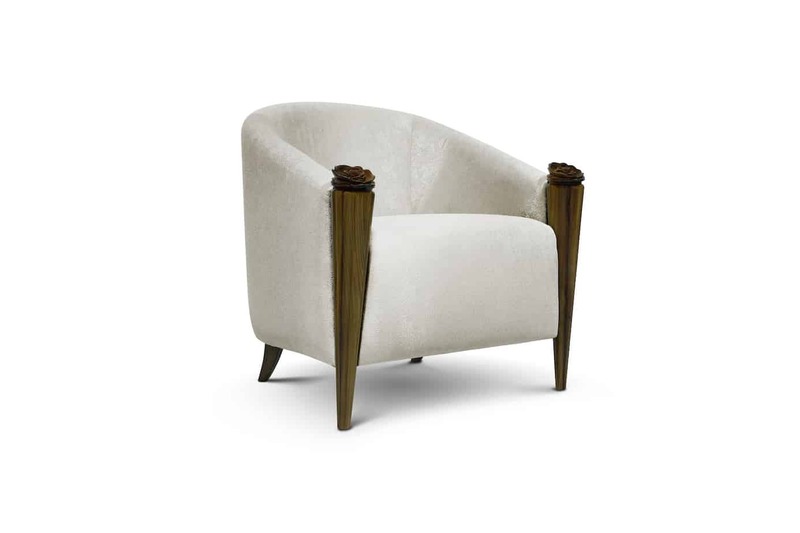 Expect to be embraced in the arms of the organic Blossom Armchair. 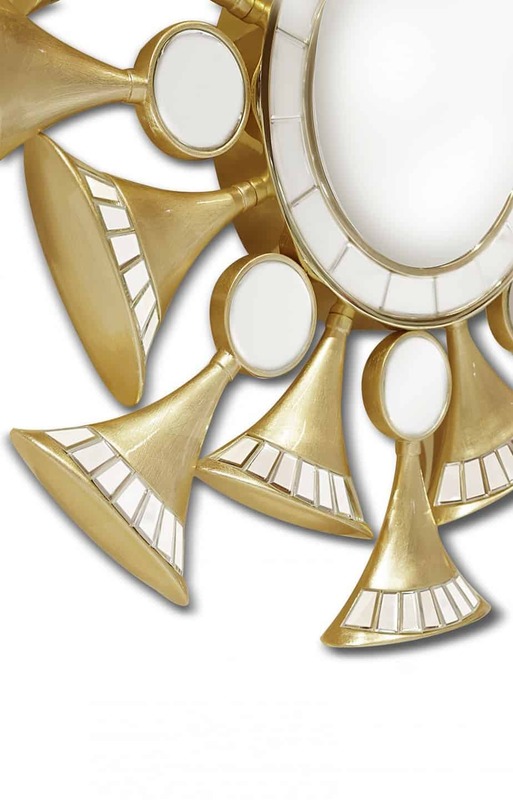 It’s smooth lines and carved legs represent the blossoming of a beautiful flower. 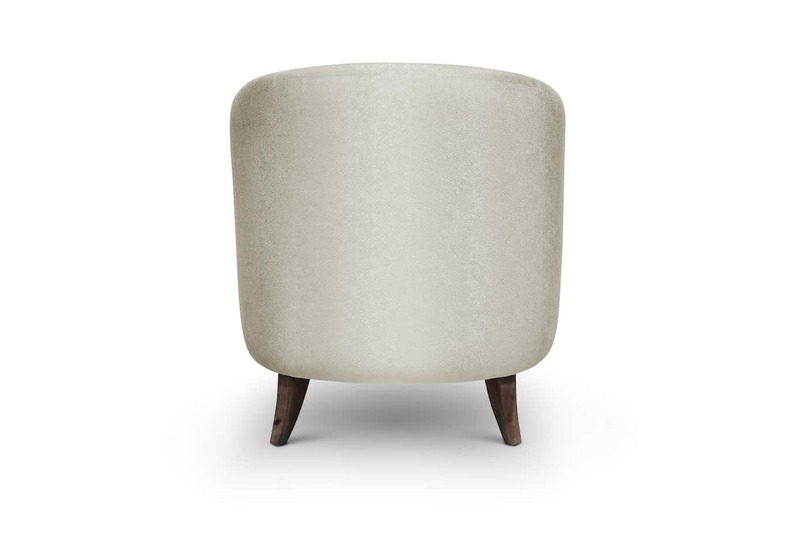 Upholstered in a sensual textured fabric with a satin finish, the carved feet are highly glossed iron wood. Measurements are width/length 77cm, depth 82cm, height 82cm. Custom sizes and colours are available. 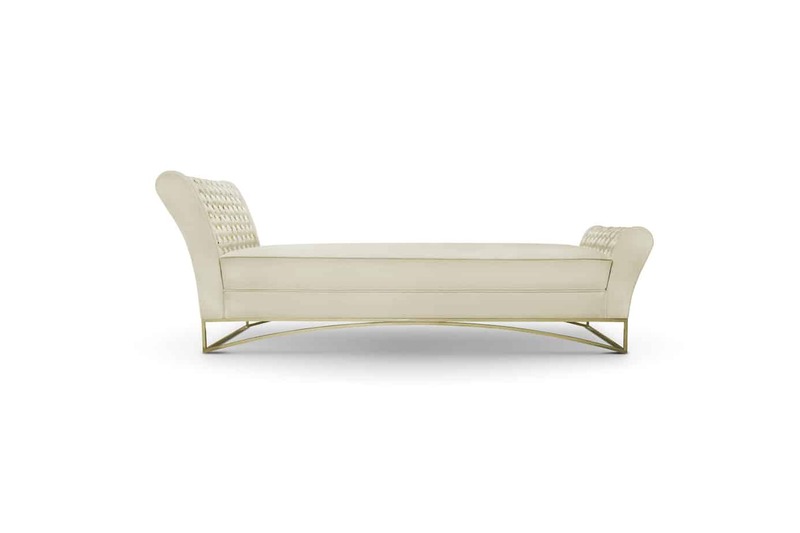 I am totally in love with this gorgeous chaise longue that exudes luxury. 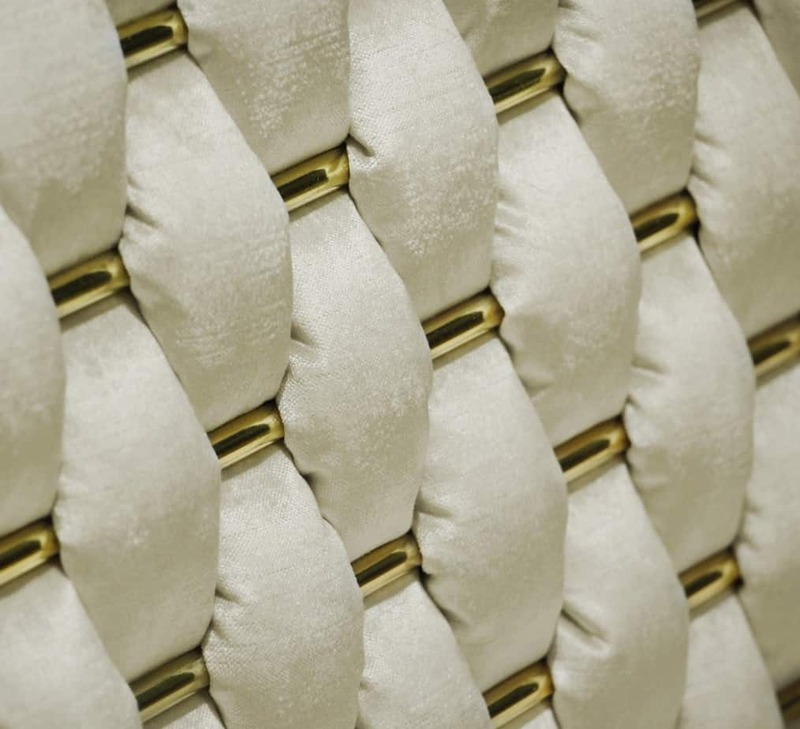 The hand-whicker work sees 13 metres of sumptuous white velvet braided around gold polished brass rods. 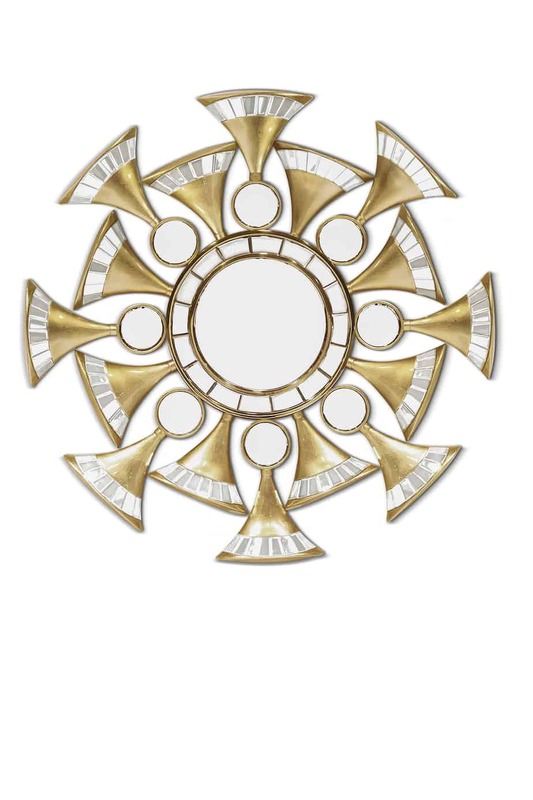 The base is also gold polished brass.Measurements are width/length 181cm, depth 80cm, height 80cm. 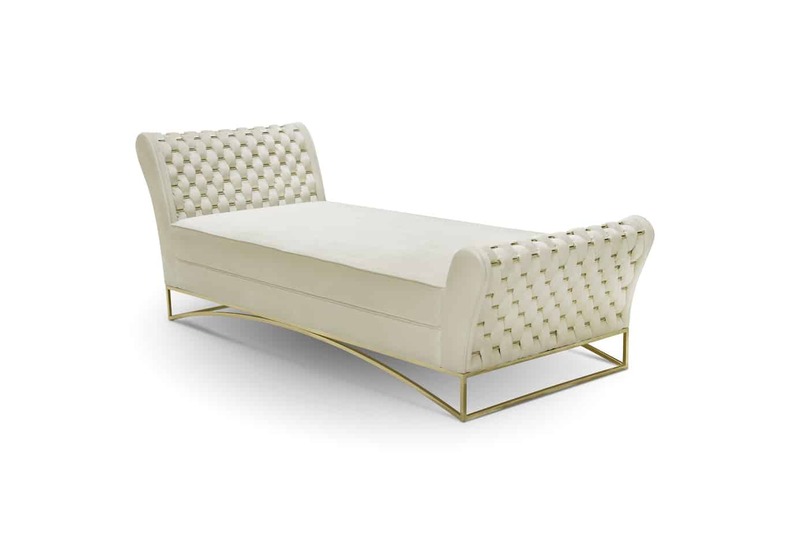 This exquisite chaise will be equally at home in a classical or modern setting. Style with modern art work or a traditional rug, and it will always be the hero piece. Measurements are width/length 181cm, depth 80cm, height 80cm. Sophisticated, timeless, and secretive. 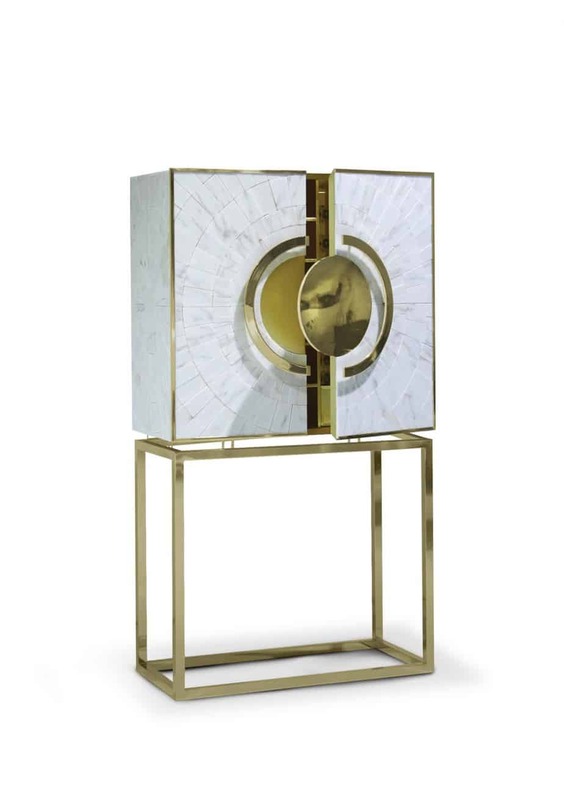 Handcrafted from white marble, this elegant cabinet features radiating marble pieces emanating from a gold polished brass centre. 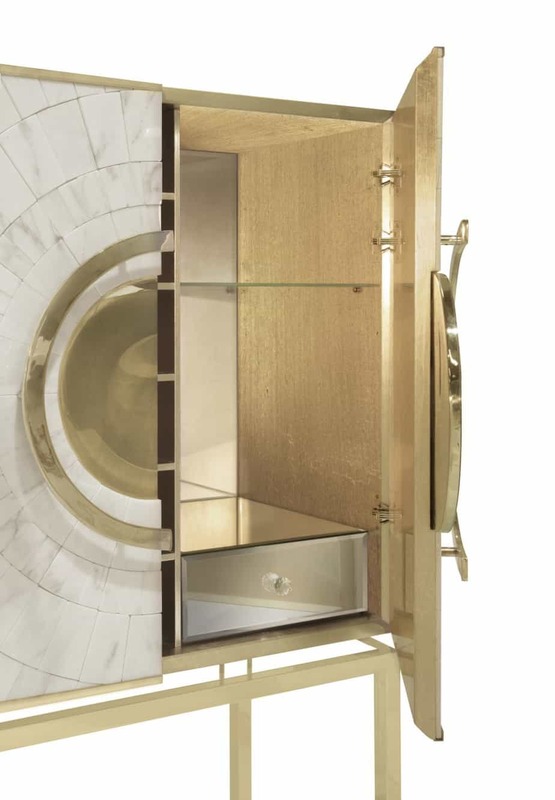 With secret access to the interior, this artful cabinet plays the role of modern art as well as gatekeeper to more intimate objects. One of Mafalda’s favourite quotes if from Vincent Van Gogh “What is done in love is done well”. This can be said about Memoir and the collection created with love, for all who love design and decoration.